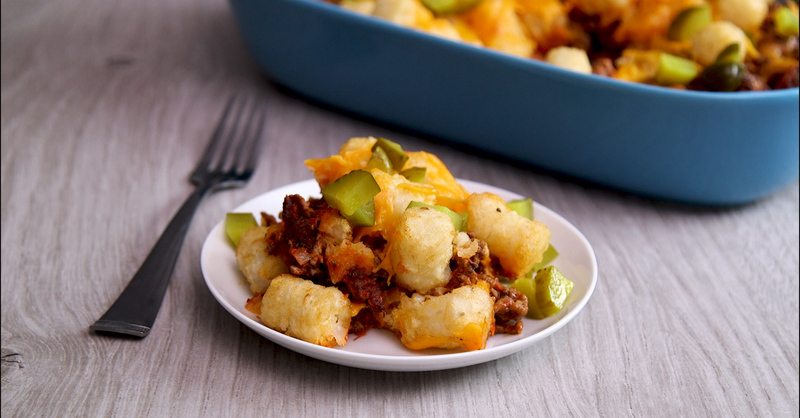 My family loves sloppy Joe’s any day of the week, so when I brought out this Sloppy Joe Tater Tot Casserole for dinner, the whole table went wild! 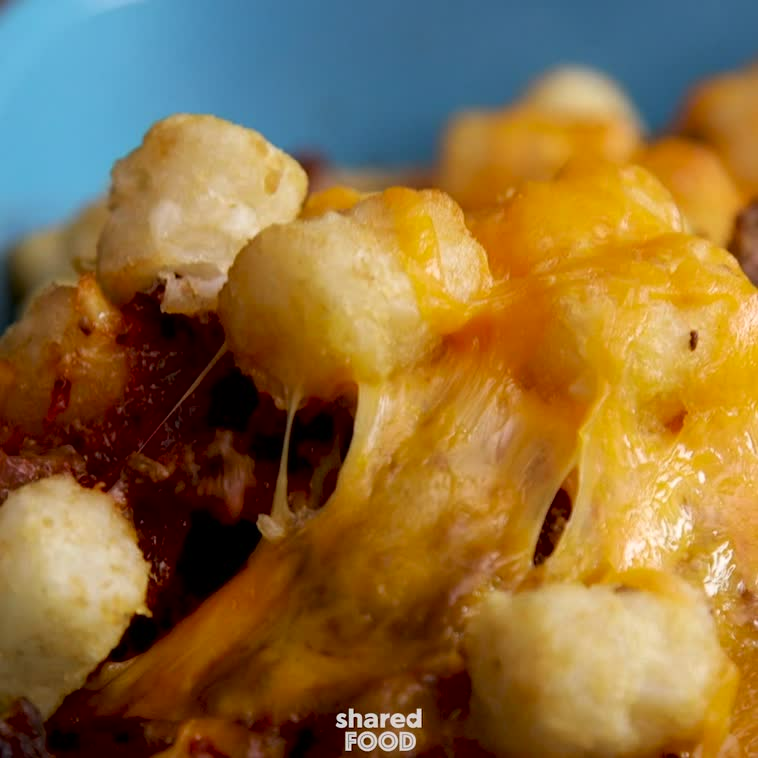 Tater tots are one of those things that I always have in my freezer - they’re just so versatile! There’s so many delicious ingredients packed into this dish, and the sky’s the limit, really, when it comes to adding veggies galore to the mix. 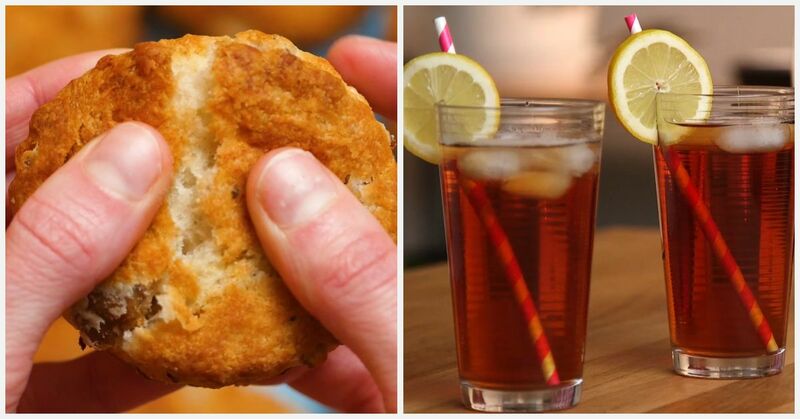 Give this a try - it’ll be your new staple dinner in no time. Preheat oven to 350 degrees. Prepare a 9x13-inch glass baking dish with nonstick spray. In a large nonstick pan, brown beef and onion over medium-high for about 8-10 minutes, stirring frequently. Drain beef mixture of any grease, then return to the heat. Stir in the tomato sauce, brown sugar, worcestershire, mustard, and salt, cooking 2-3 more minutes, stirring frequently until simmering. Layer half the frozen tater tots in the bottom of the baking dish, in a single layer. Spoon the beef mixture on top, then top with 1 cup of cheese, remaining potatoes, then the rest of the cheese. Bake 45-55 minutes, or until bubbly and golden brown. Serve topped with chopped pickles. Enjoy!